What’s All the Fuss About Rock Dust? Rock dust… The new gardening phase…Well its not new, it’s ancient! If you were to ask me what is my favorite rock dust I would probably say Rock Phosphate, or.. Azomite, or.. Gaia Glacier, or.. Greensand. I have seen a HUGE change over the years of my gardening since I started using them over 15 years ago. They are organic, slow release, and loaded with essential nutrients that your plants need to be healthy through-out the growing season. It will encourage the root systems of trees, lawns, roses, vegetable gardens. Rock dust aren’t just for vegetable gardens. When you use them in your flower beds you will see increased blooms, larger flowers and healthier growth. Roses love rock dusts to! Vegetables will have fewer bugs, increased yields and I think, better flavor! The mineral nutrients in these powdered rock products work with the soil rather than against like chemical fertilizers, therefore they will nourish the soil and make these nutrients available to plants at a balance rate. Rock dusts should be applied during the spring once per year, but can be applied seasonally for intensive growing. General first application is about 10 pounds per 100 square feet, but always find the application rates on the product label. You can also add them into your compost heap. By doing this it enhances their availability for plant use. The soluble acids in humus formation begin to dissolve the rock nutrients. So when you apply your compost, it will make up for minerals removed from the soil when you harvest! Yup, minerals don’t last forever in the soil. Taking a vitamin once doesn’t mean it will last your whole life. Limestone is made from finely ground limestone rock. It contains mostly calcium carbonate. Lime should only be used on acidic soils. If your pH is higher than 6.0, I would not add limestone. Most plants function best in a pH range between 6.0 and 7.0, of course with a few exceptions. Have your soil tested before jumping in and adding lime. Rock phosphate is mined from clay deposits containing phosphorus. Bone meal is a good substitution for a slow-release phosphorus if you can’t find rock phosphate. It is important for root growth, bud, flower and fruit development. 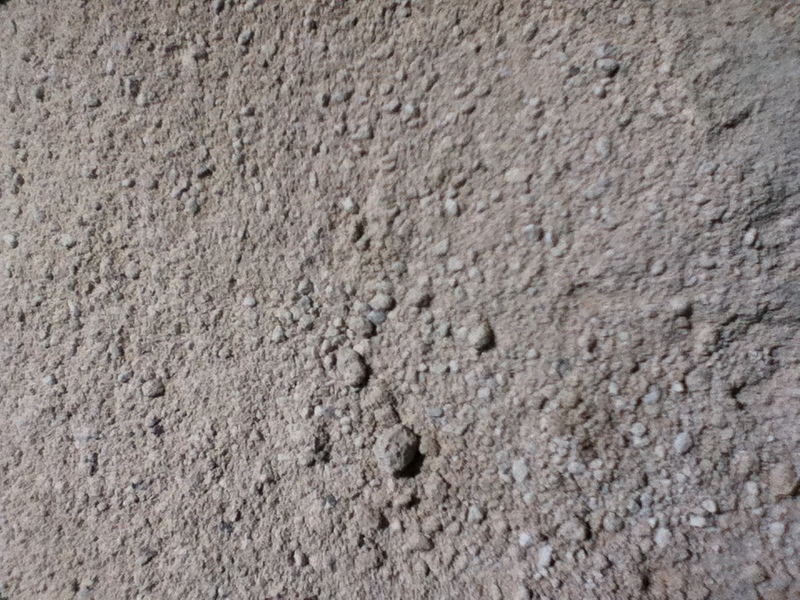 Greensand is mined from old sea-bottom deposits. It is an excellent source of potassium and many trace elements. Potassium is important for the overall health of the plant. Some of greensands trace elements are zinc, copper, molybdenum, boron and manganese. Azomite is probably one of the newest rock dusts to me. I have only been using it for the last 4 years, but I can’t believe the difference it has made in my garden and potted plants. Azomite is silica clay that is mined in Utah from deposits left by an ancient volcano eruption that was ejected out of the side of a mountain and filled a nearby lake bed. It contains over 70 active minerals and trace elements. It can be used in animal feeds as well. Gaia Glacial Rock Dust is a natural mineral product which is produced over many thousands of years by glacial action. A wide variety of rocks which contain a broad spectrum of trace minerals are collected and pulverized by the expansion/contraction action of the glacier. It also raises pH in acid soils, so using using in alkaline soils may not be the best idea. You can also make a rock dust milk by adding 1 cup rock dust to a fine mesh bag or material, tie into a ball and suspend in a gallon of water. Allow to sit over night. Pour into sprayer and spray leaves. This gives your plants a jump-start or helps with any stress. Bugs seem to find this unattractive and move along, so it works as a repellent as well. Snails are repelled by its high silica content, so by sprinkling small amounts around the base of will not only feed the plant, but it will deter these pests. Add a couple of tablespoons to your potting mix to improve overall health, especially azomite. While chemical fertilizers may produce more immediate visual results, when you add Rock dust you are adding a huge range of minerals and trace elements for long-term soil health, your plants and most importantly, YOU! What about dolomite ? Isn’t that supposed to help prevent BER in tomatoes and bell peppers ? It sure does. Dolomite is lime, It’s a natural form of calcium easily available to plants, so calcium (dolomite) is great for blossom end rot. But, if your soil has a high pH (Yup, Southern Utah) then you should use something like Oyster Shell instead! No problem on the bonemeal! 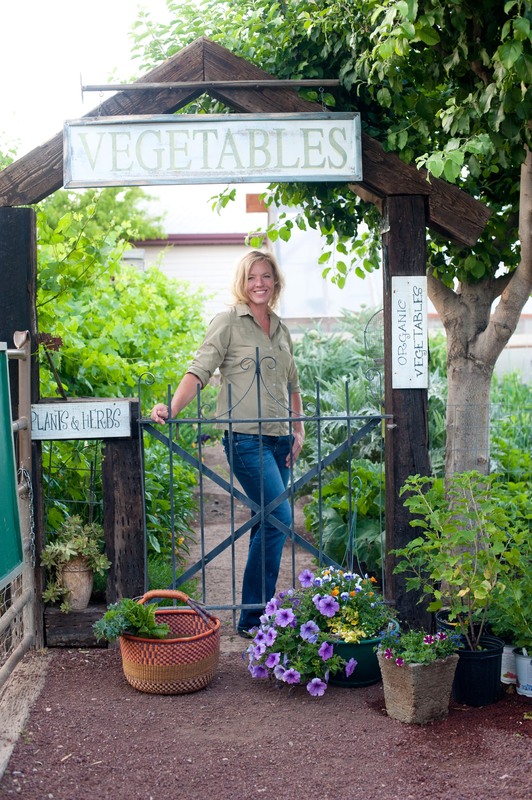 You can use most organic fertilizers the day you plant! Just don’t over feed…I’m happy to hear about your ventures on being a new gardener. Have a blast with it! There is a soil block recipe that I am looking at that contains glacial rock dust but its not easy to find around here and ordering it online is pretty expensive for shipping. I am new at this bear with me but is there a substitute for the glacial rock dust that works well? Yes! You can use Azomite! It’s great for soil blocks! I sprinkled some Azomite on my potted plants, potted veggies, and on top of my straw-bale veggie garden (already planted). Then I lightly watered it in. Is that ok? And I don’t need to reapply again all season? That’s fine to do! Once a year is enough to last. Azomite is slow release. Enjoy those straw-bale veggies!! I am looking for a way to remedy an error with my nasturtiums planted in window boxes. I used a potting soil full of nitrogen and now realize that is why they aren’t blooming. Any suggestions before I do anything drastic? I am using azomite for the first time but need to know if I need dolomite for grow boxes?? Will the azomite mixed into vermiculite, peat and four sources of compost be sufficient?? Or do I still need dolomite for BER for tomato’s. Azomite is a great source of minerals, but if you have had problems with BER, you may want to add a Tablespoon of dolomite, bonemeal or oyster shell in each hole when planting. If your soils is more on the alkaline side, choose bone meal fertilizer or oyster shell and if your soil is on the acidic side, use dolomite.